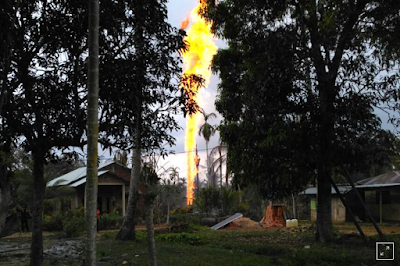 Sciency Thoughts: Explosion at illegal oil well kills 21 in Aceh Province, Sumatra. 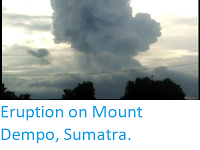 Explosion at illegal oil well kills 21 in Aceh Province, Sumatra. 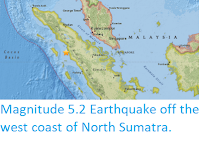 Twenty one people have died and another 42 people have been injured following an explosion at an illegal oil well in the village of Pasir Putih in Aceh Province, Sumatra, on Wednesday 25 April 2018. 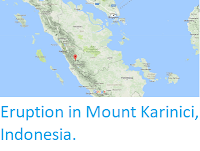 The well was apparently run by local people from the village, which lies within an area where all legal drilling is controlled by the Indonesian state oil company Pertamina. The operators had apparently drilled own to a depth of about 250 m, when they struck a pocket of pressurised oil which they were unable to control and sprayed freely from the well. This attracted the attention of other people in the village, who gathered to try to collect some of the oil. At some point after this the oil was ignited, causing a major explosion and fire, though accounts of how this happened vary (though there would seem to have been a degree of bad luck involved, as crude oil is not usually easy to ignite). 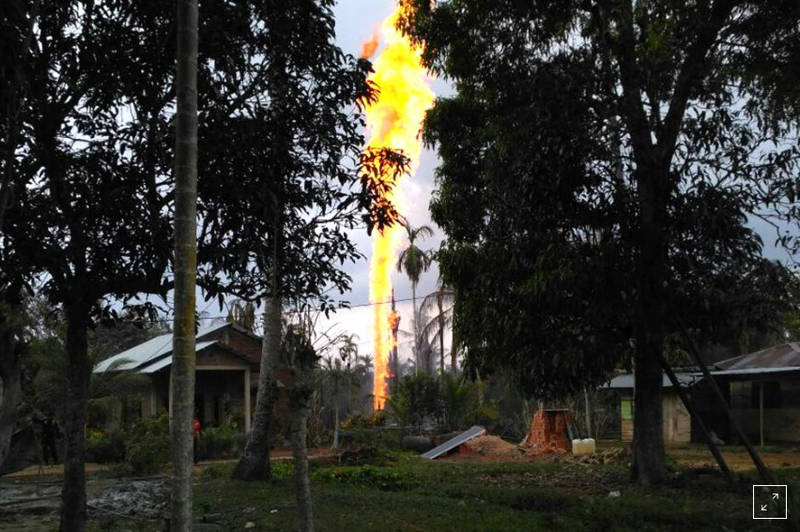 Flames issuing from an illegal oil well in Passir Putih Village, Aceh Province, on 25 April 2018. Maulana/Antara Foto/Reuters. 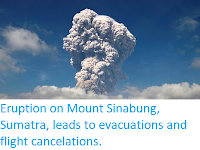 The fire destroyed at least five homes and burned for several hours, before eventually being extinguished by teams from the National Disaster Mitigation Agency assisted by specialist fire fighting crews loaned by Pertamina. Authorities in the area are concerned there may still be undiscovered casualties in the village, and are planning to prosecute those responsible for the disaster. We offer private,Home Loan, commercial and personal loans with very minimal annual interest rate as low as 2% for 1 year to 20 years repayment duration period to all parts of the world. We give out loans from $5,000.00 to $10,000,000.00. Terms and conditions apply.